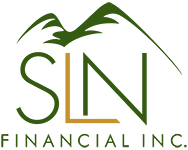 April 27, 2017 - Time to Spring Clean Your Accounts | SLN Financial, Inc.
With the spring season budding, now is a great time to ensure your financial accounts are up to date and secure. Just like the dust that can collect in your house, so too can your financial accounts grow stale. No one wants to add disorganized complexity to his or her already multifaceted financial life. To help you stay ahead, here are some key tips for spring-cleaning your financial accounts. 1. Refresh your beneficiaries listing. 2. Make sure your accounts are still active. For some people, out of sight means out of mind — and not ensuring that important accounts, are still active can be easy. If this sounds like familiar territory to you, you should probably visit your accounts to make sure they’re still active. Details such as changes in your automatic payment drafts that you forgot to address or bills you overlooked can cancel your policy without you realizing it.3 If you’ve not recently verified your accounts are still active, now’s a good time to do so. 3. Address any changes to your financial goals. Inevitably, changes in your life will also mean that your financial goals evolve, too. Goals-based financial planning can be an important tool for making sure that the financial strategies you use align with your life vision. As details such as your marriage status, children, and retirement needs, and more evolve, the financial priorities you must address will, as well.4 If you experienced any significant life changes in the past few months or year, revisit your financial goals to help you stay on track. 4. Consider rolling over any IRA accounts when changing jobs. If you’re planning to change jobs this year, then you’ll want to make sure you take any invested IRA funds with you — and consider an IRA rollover.5 Forgetting to manage this financial item is all too common for employees. In fact, 1/3 of Americans don’t rollover their retirement accounts when leaving a job.6 Of these employees, 17% fail to do so because they don’t know the steps they need to take in order to transition their accounts.7 You can help your retirement today by remembering to hold onto the money you and your employer have helped you save. Overall, your circumstances and the experiences you navigate will drive the spring cleaning that will best help you keep your financial life up to date and healthy. If you would like to revisit any of your account details, we’re more than happy to help.